Call today to schedule a free estimate! Giving your refrigerator a quick wipe down might not be enough to get it truly clean. If your refrigerator is not in the best condition, you might want to hire a housekeeping service in Ann Arbor, Novi, Detroit, and the Detroit Metro area to take care of it for you. When you hire professional cleaners to take care of the refrigerator, they will thoroughly clean the exterior of the appliance. They will also spend time cleaning the rest of the appliances in your kitchen as well as the floor and the sink. After your regular cleaning appointment, you can be sure that your kitchen is clean and sanitary. 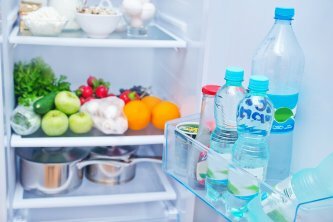 Once the cleaners have done their job, you can focus on keeping the inside of the refrigerator clean and ready for use. With the help of your professional cleaning service, you’ll no longer have to worry about the cleanliness of your refrigerator and other appliances before hosting friends and family at your home. Prepare for Spring with Cleaning Services from Maid Aide!